What to Eat in the Morning to Lose Belly Fat? The most effective way to fight belly fat is increased physical activity and dietary changes. Eating a reduced calorie diet will help you shed belly fat. However, there are special foods that help increase your metabolic rate and improve your workout sessions. Focus on incorporating these foods into your breakfast routine to lose unwanted midsection pounds. Some dieters avoid eggs. However, if you don't have high cholesterol, eating an egg in the morning aids in fat loss, reports "Fitness" magazine. 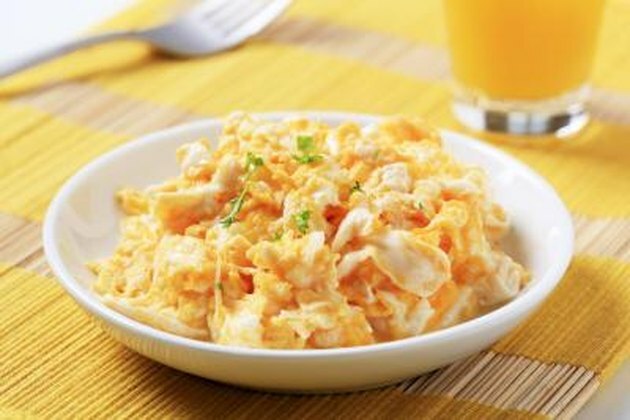 Eggs are balanced with amino acids, the protein building blocks used to build muscles. 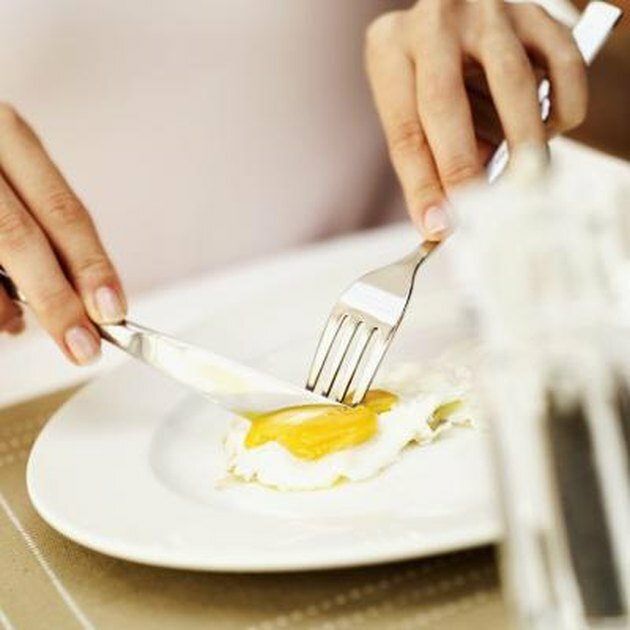 Eating an egg in the morning can improve the results of your workouts and help curb hunger. You have fewer cravings throughout the day, helping you feel more satisfied. 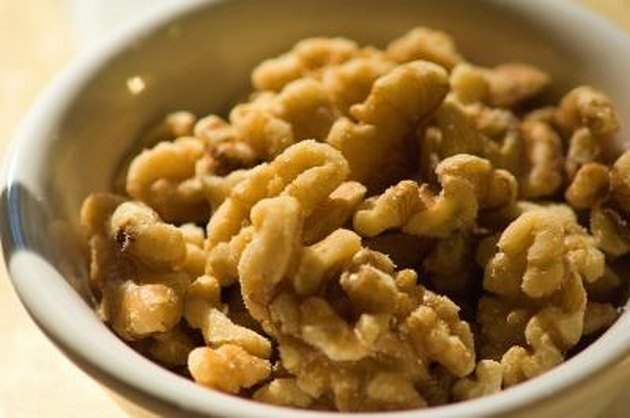 Crush walnuts on your morning cereal to get a dose of omega-3 fatty acids. Omega-3 fatty acids improve your metabolic rate, reports "Fitness" magazine. It also helps improve your glucose-insulin response, leading to fewer food cravings for the rest of the day. You can also try blending walnuts into your morning smoothie. Berries are high in fiber, which helps you feel more satisfied and promotes fat loss. That's because fiber takes longer to digest, allowing you to feel full for longer. You should eat 25 to 35 grams of fiber daily to enhance fat loss. Strive to eat about 1/2 cup of berries daily. 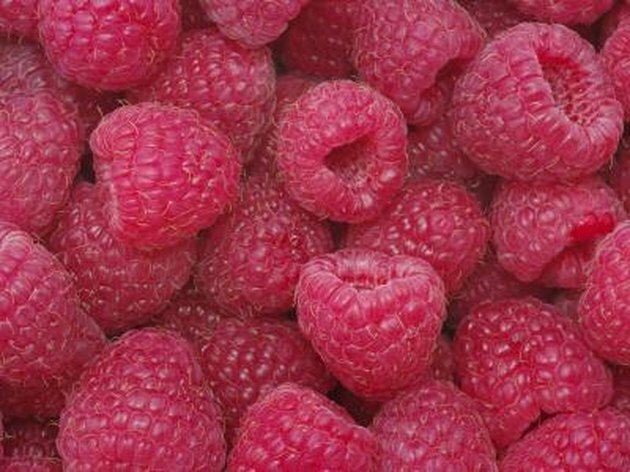 Eat a variety of berries, such as raspberries, blueberries, gooseberries and strawberries. 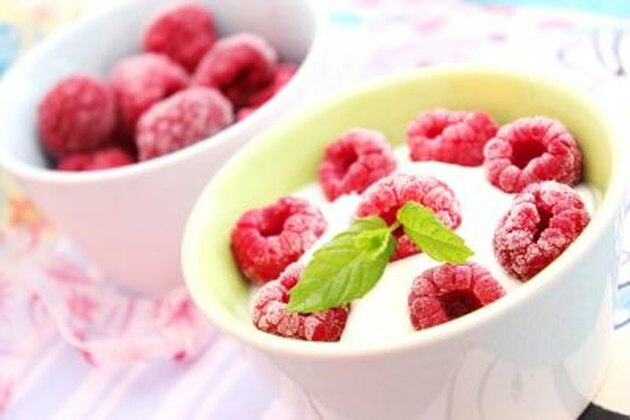 Mix your morning berries with soy yogurt to fight belly fat. Soybeans are high in fiber, protein and antioxidants. You can also drink a glass of soy milk with your breakfast. Dieters who drink soy milk, rather than cow's milk, lost more weight, reports "Fitness" magazine. Strive to eat about 25 grams of soy daily. However, select whole soy protein, rather than isolated soy protein. It's more effective for fat loss. Mix avocado into your morning smoothie or into your eggs to boost your metabolism. Avocados are rich in monounsaturated fats, a substance that improves your metabolism, reports CBS News. Other foods rich in monounsaturated fat include olive oil and nuts. You can cook your morning eggs with olive oil for an extra dose of monounsaturated fats.